I was very excited when Lazaro of Lazaro Cooks! invited me to guest post on his blog. I'm a fan of Laz's creative and inspiring dishes and admire him for his mission to eat sustainably, organically, and seasonally. My recipe for Beer Chili Spaghetti is a family favorite for its rich, meaty, chili-inspired sauce and hearty whole wheat noodles. Topped with extra-sharp cheddar cheese and chopped red onions, it's a nice way to warm up on a cold winter day. In a large pot over medium heat add the olive oil and then brown the ground beef breaking it up and crumbling as you go. If you’re not using lean ground beef, skip adding the olive oil. While the beef is browning, cook the spaghetti noodles in heavily salted water and according to package directions. Stir well, reduce heat to low and simmer for about 15-20 minutes to allow the flavors to meld. Meanwhile drain the spaghetti and toss with a small amount of olive oil to keep moist. 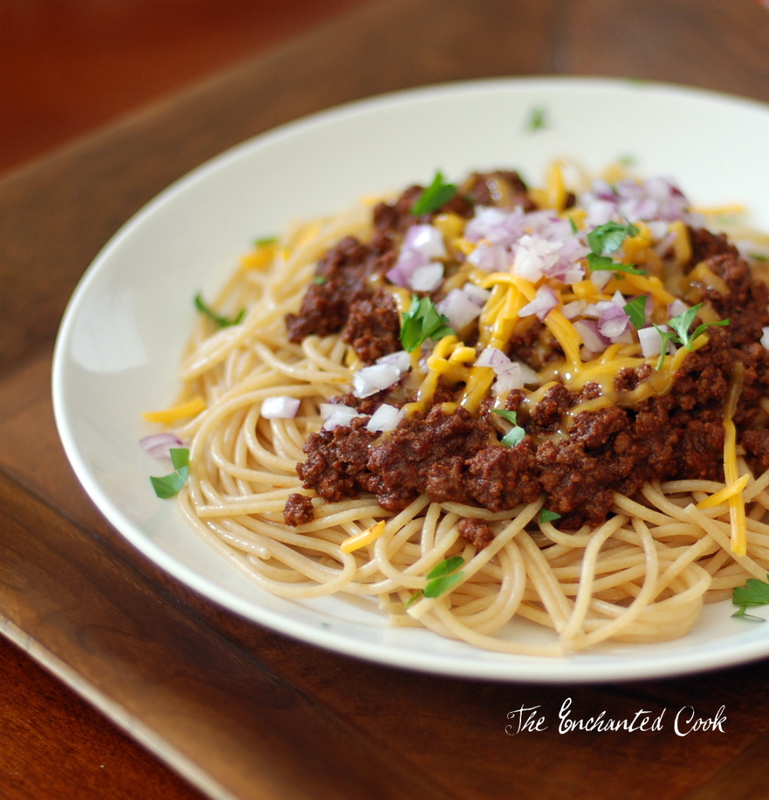 When ready to serve, top spaghetti with meat sauce, then cheddar cheese and red onion. 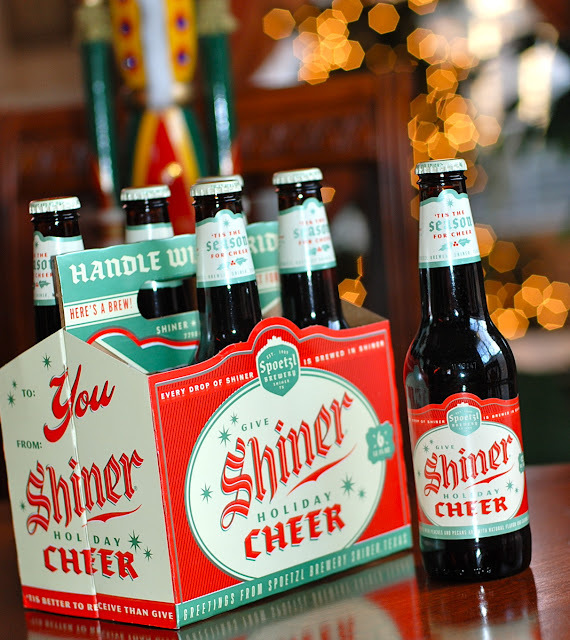 For the holidays, I used Shiner's special edition Cheer Beer but you can use any beer you like. I hope you'll go pay Lazaro Cooks! a visit and check out all the great stuff he has going on over there. I never had that on spaghetti, it is very interesting! 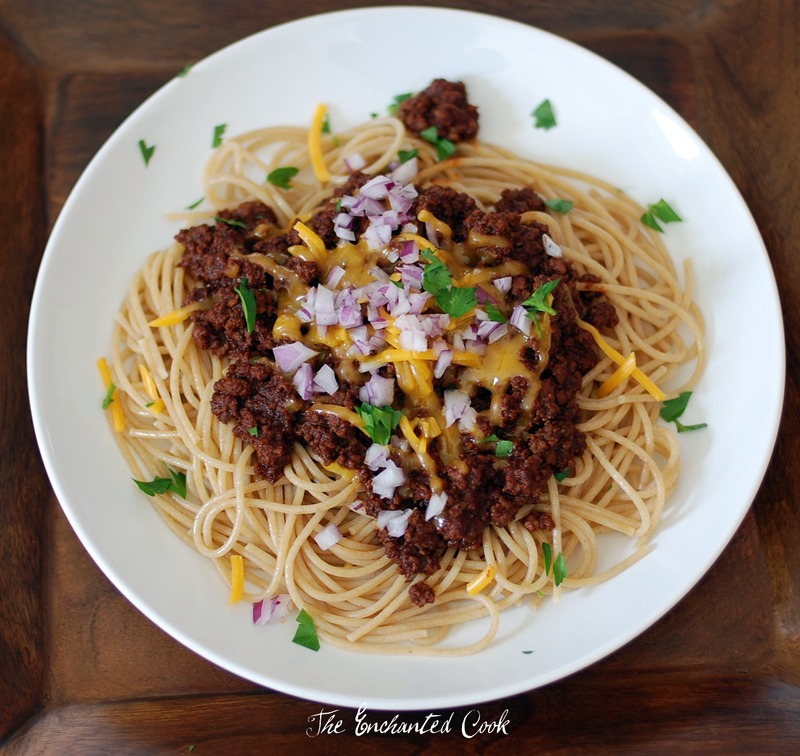 Wonderful combination of chili and spaghetti...I am shocked I've never tried this out. I live about 1.5 hours from the Shiner brewery. We've wanted to tour it for ages (free samples! ), but they don't do tours on weekends...oddly enough. That spaghetti looks good...and pasta makes EVERYTHING better ;). Your beer chili rocks! This is a keeper! Thanks for sharing. I love Lazaro's blog. I will be hopping over to check out your guest post. P.S. I am your new follower! congrats on your guest post with Lazaro! coming from Lazaro's to check out your blog, I love it!! great recipe and wonderful pics!! My husband hails from Cincinnati, OH and there is a popular chili restaurant chain, Skyline, that does their chili over spaghetti and it's fantastic. I wanted to see if it would be possible to feature this recipe on CraftBeer.com? One of the main goals of this site, published by the Brewers Association, is to bring craft beer to the dinner table through pairings or as an ingredient in dishes. I would create a post similar to this: http://www.craftbeer.com/recipes/breakfast-beer-popovers and include your bio/photo and link to your blog. Please let me know if this is ok!